An EASY Key Lime Butter Cake is a cake that explodes with lime flavor. The cake is soaked with lime syrup and the whole thing is topped with key lime drizzle – this cake screams key lime dessert! 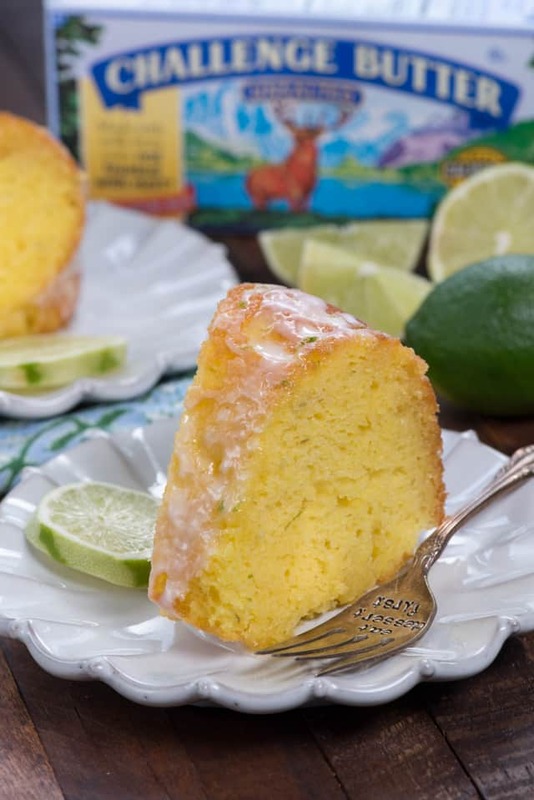 Thanks to my partnership with Challenge Dairy, this cake is an explosion of buttery lime flavor. Remember my Lemon Butter Cake? Well, this recipe is that cake with a key lime makeover! I’ve had nothing but good reviews about that cake, so I decided it was time to soak it in another flavor that’s popular right now: KEY LIME. Maybe you’re thinking Key Lime in a butter cake? But trust me, this cake is amazingly good and will be a huge hit. 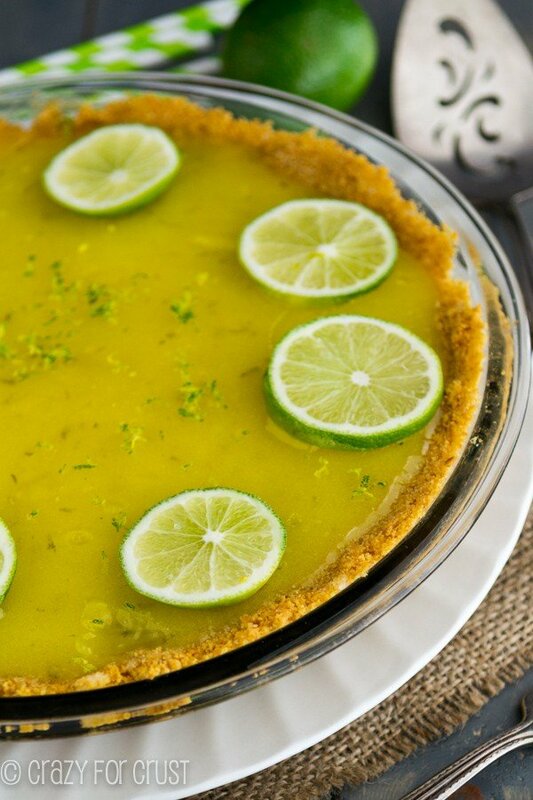 If you’re looking for a new key lime dessert, this is it! You may be asking yourself: what’s a butter cake? Is a butter cake the same as a gooey butter cake? (Short answer: no.) Basically, in my world, a butter cake is a cake made with butter, baked in a bundt pan, then drizzled with a hot and sweet buttery syrup while the cake is warm. As the cake cools, the syrup infuses every bite of the cake, keeping it super soft and light and drenched in flavor. This Key Lime Butter Cake version has so much lime flavor in every single bite. There is key lime juice and zest in the cake, the syrup, and in the drizzle on top. 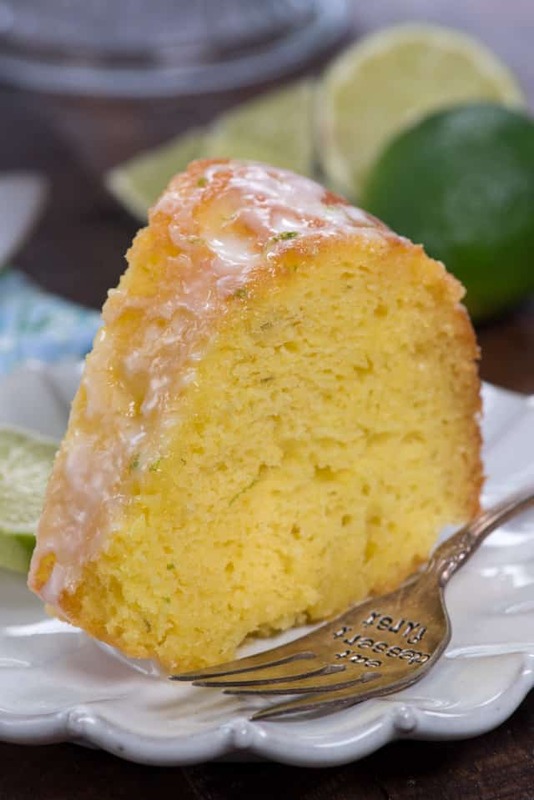 There is no searching to find the lime flavor in this cake; it practically bursts in every bite. I don’t think I’ve told you guys this, but I started working with a trainer. She comes to my house three times a week, not only to give me a workout that leaves me sweaty and sore, but also to help me with nutrition and motivation. She’s making me keep a food journal and giving me all sorts of tips about what to eat and supplements that will help my metabolism and cut the sugar cravings. My life is a contrast in terms: me, trying to eat well, working out hard, then baking a cake. Sometimes I just shrug and say, yes, this is really my life. It’s also a bit like an alcoholic working in a bar: once that cake is in my kitchen it’s almost impossible to avoid it. I’m trying to build my willpower, and most of the time it doesn’t work, but I’m super proud of myself: I managed to only taste this cake before I froze it. (Yes, you can freeze cake.) I’m hosting a brunch for 30 people on Easter, so I know I can serve it to them. This key lime cake is made without gelatin, which I know a lot of people are looking for. It does start with a cake mix, but the secret is safe because no one will ever know, as long as you bury the box in the trash. It may seem weird that I started with a lemon cake mix, but this cake doesn’t taste like lemon, or even like lemon lime cake. 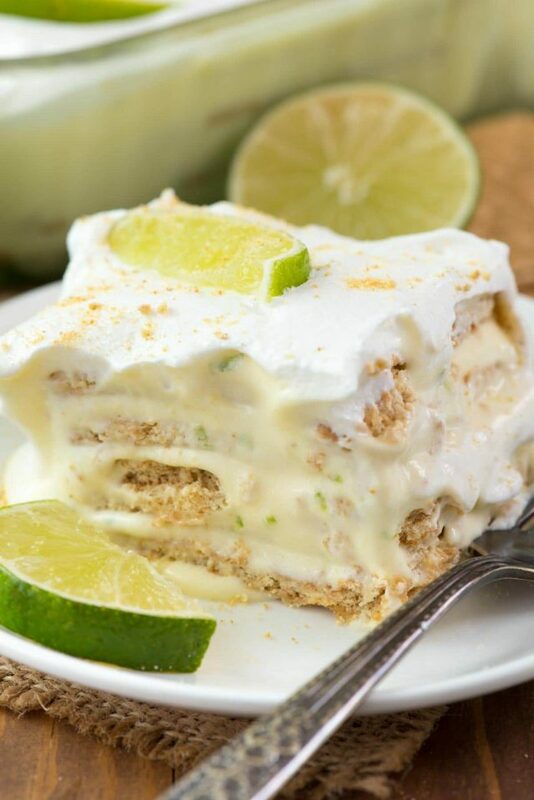 It tastes totally like key lime, because I added so much to the recipe. I used lemon cake mix because key lime cake mix is hard to find, and because I really wanted that citrus flavor. You can start with a yellow or white cake mix too, if you want, but you’ll want to adjust the ratio of lime juice to water and lime zest (see my notes in the recipe). If you happen to be able to find a key lime cake mix (a few brands make it as a specialty flavor once in awhile), you can use that too. Key Lime Butter Cake is an easy cake recipe drenched in key lime flavor: in the cake, syrup, and drizzle. You won’t be able to stop at one bite! The first ingredient you must have in any butter cake is, of course, butter. As you all know, I absolutely love Challenge Butter. It’s the only butter I buy and use in blog life and real life because it’s the best. I’ve eaten it since I was a child (it’s my dad’s favorite). Challenge makes their butter with no added hormones or artificial ingredients, which makes the butter taste the best. When you’re making something like a butter cake, you want to use a butter you can trust, and for me, that’s Challenge Butter. Start with a cake mix – I used lemon, but you can also use yellow or white, or key lime if you can find it. Add a box of pudding to the cake. This keeps the cake super tender! I used lemon, but you can use vanilla instant pudding mix also. Don’t spend hours trying to squeeze juice out of key limes, unless you really feel like it. I use a bottle of key lime juice I find in the juice aisle (near the lemon and lime juices). I know usually fresh is best, but not for key lime juice. If you can’t find key limes for zest, regular limes are fine. Make the sauce while the cake is cooling. It takes just a few minutes. You can skip the glaze but it packs another punch of key lime flavor, so I am in favor of keeping it! This key lime cake is one of the best you’ll ever make, I promise. And even through there are three different parts, it’s super easy to make! An EASY Key Lime Butter Cake is a cake that explodes with lime flavor. The cake is soaked with lime syrup and the whole thing is topped with key lime drizzle - this cake screams key lime dessert! Preheat oven to 350°F. Spray a 12-cup bundt pan with nonstick cooking spray (the kind with flour) or butter and flour it. Use a hand mixer or whisk to beat the cake mix, butter, eggs, water, lime juice, extract, zest, and pudding mix until a thick batter forms. Pour into prepared pan. Bake for 35-45 minutes, or until a toothpick comes out with just a few crumbs. Remove the cake from the oven and cool for 10 minutes but keep it in the pan. While the cake is cooling, make the sauce. Melt butter in a small saucepan over medium low heat. Stir in the sugar, zest, and juice and cook until it just simmers (bubbles around the edges). Remove from heat and stir in the vanilla. Poke several holes in the cake using a long skewer and pour the butter sauce over the cake. Cool in pan completely, then remove to serving plate. 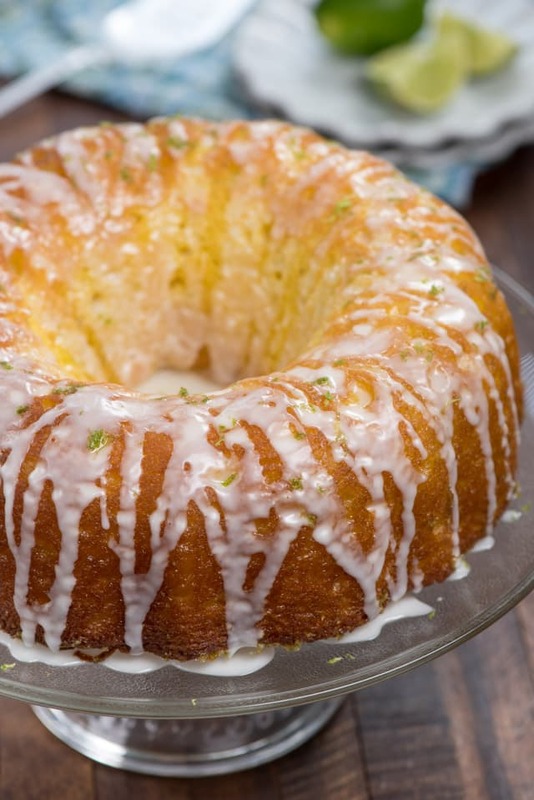 Make the drizzle: whisk together powdered sugar and lime juice. Drizzle over cooled cake. Store loosely covered. Best within 2 days. A No Bake Key Lime Eclair is the perfect summer dessert! 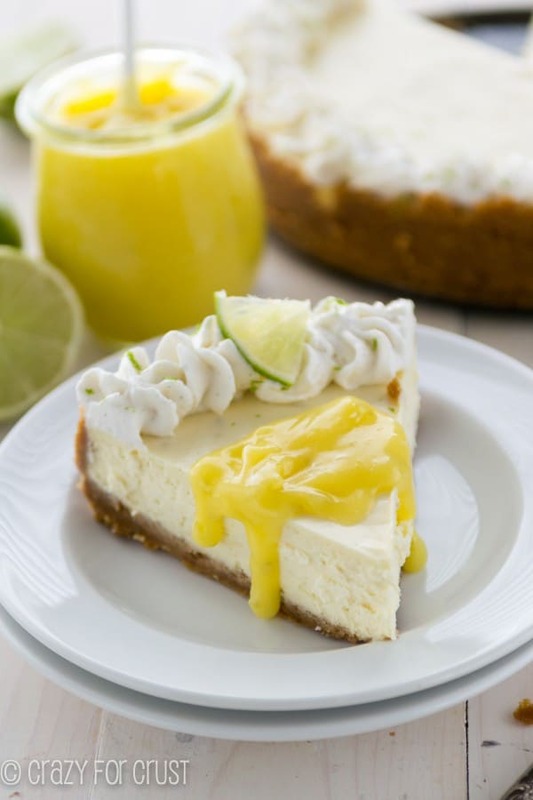 Craving Key Lime Cheesecake? I got it covered! 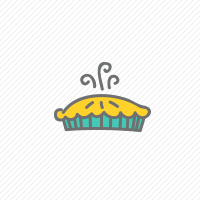 Key Lime Pie is the BEST citrus pie I’ve ever had! This post is sponsored by Challenge Dairy. All opinions are 100% my own. I promise to only endorse products I really love and Challenge is one of them! Yeah….I second the others comments. Your video ingredients dont match what is listed. ( e.g. Listed Step 2 doesnt include the melted butter and zest like in the video. Listed Step 4 doesnt include the zest) Im so glad that I watched the video! I just took it out the oven, I have to wait ’til tomorrow to eat! Thanks for this recipe! Hi just wanted to point out that the melted butter is missing in step 2 in the recipe directions I see it was added to the cake mixture in the video, but not in the instructions! Can you use a butter cake mix to make this cake? Would there be any adjustments in this recipe using butter cake mix. The butter was left out in your directions. I went to your lemon butter cake recipe to make sure when to add the butter. I just made this and it smells heavenly. The ingredients for the cake include 1/2 cup unsalted butter, melted yet Step 2 of the instructions does not mention the melted butter? It is supposed to be mixed in with the other ingredients listed for cake, correct?